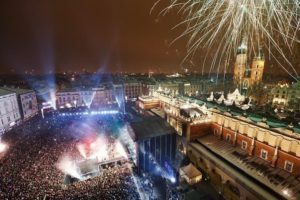 There is a wide variety of New Years Eve entertainment in Krakow. From public concerts organised by the municipality to special dinners in restaurants for New Year’s Eve to elegant balls in unusual venues. It is traditional that public concerts are organised at New Year’s Eve in Polish cities. Krakow is no different! 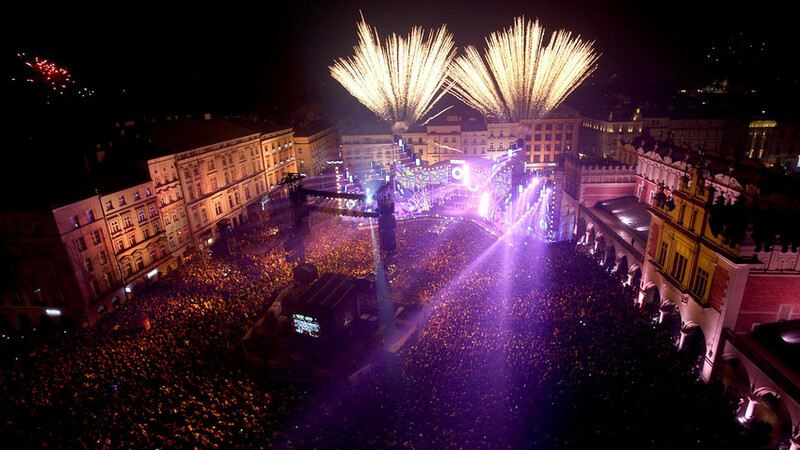 Each year there is a big stage on Main Market Square, where the most popular singers perform for thousands of people. There are also concerts in other districts of Krakow, each bringing great fun to all participants. This year the stage on the Main Market Square will stand in front of the Town Hall Tower. It will host performances by Kasia Mos, who represented Poland in the last year’s Eurovision and acclaimed artist Bovska. Performance by Natalia Nykiel, the finalist of the TV talent show The Voice of Poland will be the highlight of the evening. Another stage will be located on the Market Square of Podgorze district. Wojciech Pijanowski, beloved Polish TV host and author of popular quiz games in the 1980’s, will be the host of the evening. The performance by rapper LUC collaborating with Krystyna Pronko, jazz star of the 1970’s, will maintain the artistic nostalgia. Tauron Arena, one of the largest and most modern entertainment and sports venues in Poland will also host the New Year’s Eve public concert. There some of the biggest names in the Polish rap music will perform, including Lona and Webber with The Pimps, Rasmentalism, Ten Typ Mes and Szpaku with Chory Band. The admission is free, but entrance passes must be collected beforehand. The fourth stage will be located in Nowa Huta on Roses Avenue (Aleja Roz). It will host the DJ-ing battle Waldemar Domanski, head of the Library of Polish Song and Michal Wasilewski, member of electronic music duet, Xxanaxx. With the exception of the concert on Tauron Arena, all events are free and you can join whenever. There will be no fireworks at midnight. Especially for the New Year’s celebrations, many restaurants in Krakow prepare special menus. If you prefer to spend New Year’s Eve in a more intimate atmosphere, there is a lot choose from. Many restaurants also offer special events such as live concerts. 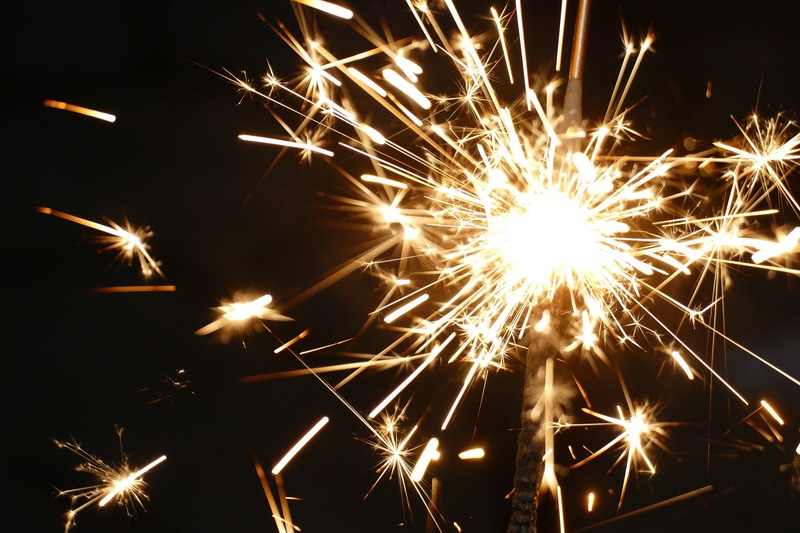 There are also other special events planned for a full-night of New Year’s celebrations. There are exquisite balls in medieval castles, crazy parties in Krakow’s hottest nightclubs, masquerades. One of the unique ways to celebrate New Year is participating in a ball organised by Wieliczka Salt Mine in the most beautiful underground chapel.